Tim Cook’s biggest challenge at post-Steve Jobs Apple(s AAPL) was supposed to be keeping together its brilliant executive leadership team. But after the failed launch of Apple Maps last month and his own hiring mistake, Cook put his own stamp on the company Monday with Apple’s biggest executive shakeup in years. Apple fired two from its leadership team: SVP of iOS Software Scott Forstall, and SVP of Retail Operations John Browett. Sure, the company didn’t outright say it had dismissed the two men, but in the carefully crafted world of public relations, the message was clear. The move was pitched as part of a large-scale reorganization of the top leadership team’s responsibilities, and emphasized “improving collaboration” between groups at Apple, which are otherwise clearly doing a lot of things right since Cook took the helm. Cook had made some tweaks to the team since he became permanent CEO in August of 2011 — promoting Eddy Cue from VP to SVP of Internet Software and Services right away, and in January he filled the retail operations position with Browett. But nothing like this. The decision to remove company veteran Forstall — as well as his own new hire Browett — is the boldest and most significant move Cook has made in his 14 months as chief executive. 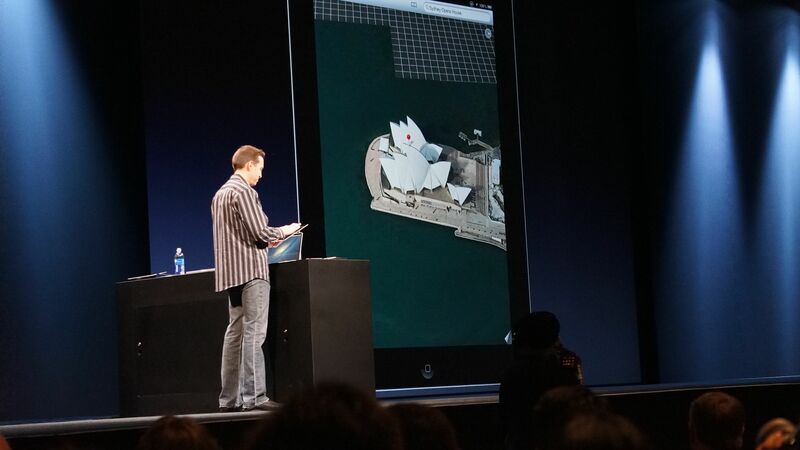 Scott Forstall demonstrates a feature of Apple Maps. The problems with the product likely led to his ouster at Apple. Browett clearly wasn’t working out, something predicted by many company observers, so his departure isn’t much a surprise. But Forstall’s removal would have been unthinkable just a year ago — after all, he was mentored by Jobs himself going back to their days together at NeXT in the 1990s and mentioned as a possible future CEO of Apple. Cook’s decision to let him go after a major misstep involving Maps shows that Cook is unafraid to remake Apple into a company that works for him, not just for Steve Jobs. Forstall was hired to work on Mac OS X starting in 1997. But he will be remembered for leading the development of iOS, which started out as a top-secret project within Apple to power the first iPhone. Today, the software Forstall created is on 400 million devices. And that still wasn’t enough to save his job. Fault for the Maps debacle can be laid squarely at Forstall’s feet. As head of software for the iPhone it was his responsibility, and the poor state of the software at launch — with incomplete and sometimes wrong data, without integrated transit directions, and worst of all, without a “beta” label — was shocking to many customers. The uproar over the software’s severe shortcomings threatened to overshadow the iPhone 5 launch, although the device appears to be selling well. Such events are usually publicity boons for Apple, but instead of simply reveling in yet another successful device launch, just a week later Cook was forced to publicly apologize for Maps. Not only was Cook unafraid of getting rid of a Jobs’ protégé, he also doesn’t appear to mind admitting he made a huge mistake. Browett’s tenure leading Apple’s retail empire lasted less than nine months. Cook was the one who signed off on Browett’s hire, and he did so despite the obvious cultural mismatch identifiable by anyone who’d shopped at a Dixon’s in the U.K. before: the discount electronics retailer with middling customer service seemed the polar opposite of Apple Stores. The failure of Browett is clearly Cook’s fault. But to his credit, he didn’t waste too much time; he didn’t even wait to hire a replacement before letting him go. There’s a domino effect in the decision to let Forstall go, and years from now, the result will likely characterize how we think of Cook’s tenure at Apple. The move should have a noticeable impact on Apple products and overall direction. Cook put iOS development into the hands of the same guy who’s in charge of Mac software, Craig Federighi. Apple has always treated to the two operating systems as distinct, but complementary. However, OS X has been taking on more and more features initially developed for iOS, and this new organizational direction foretells possibly even deeper integration between the two divisions and their software for future devices. SVP Eddy Cue will take over Siri and the problematic Maps app in CEO Tim Cook’s major company shakeup. Another possible impact of the change: the overall look and feel of Apple products. 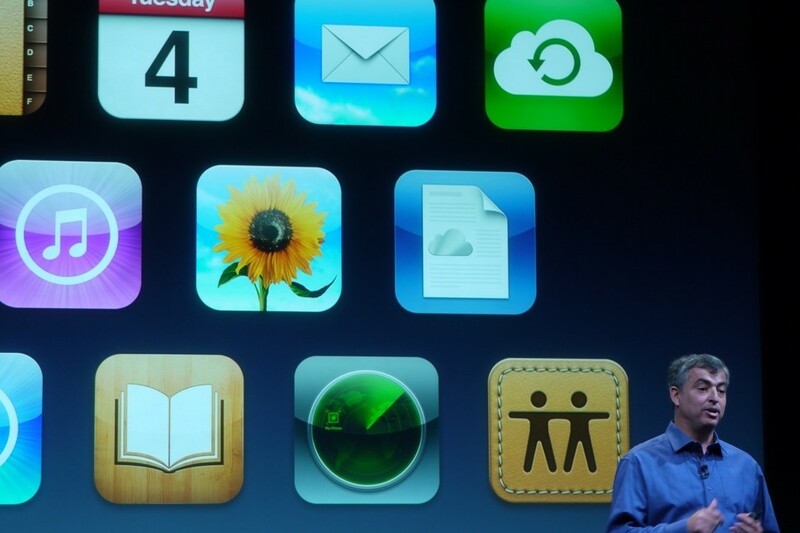 Forstall had reportedly clashed with Jony Ive over the design philosophy that underlies iOS and Apple’s own apps. The philosophy, called skeumorphism, was favored by Jobs, and continued to be championed by Forstall. Some designers regard Apple’s software design for applications such as GameCenter and Passbook as cheesy and outdated. By removing Forstall, it appears Ive will have full control over the look and feel of hardware and software. Cook also chose to put Maps and Siri into the hands of Cue. While it means Cook trusts Cue with these products that are particular weak spots for Apple, don’t expect an instant fix. Online services in general, which Cue oversees, are Apple’s big weakness — problematic Maps and Siri are joining iCloud, whose record for reliability is far from spotless. Some Apple watchers thought Cook wouldn’t be up to the task of leading the kind of company that Jobs built; the thinking was that he’d look at his role as simply a caretaker, and that he lacked the capacity to be bold or visionary like his predecessor. But the move today contradicts that thinking, and the result is a pretty different organization, one looks less like Jobs’ Apple and more like Cook’s. Tim Cook is doing the same mistake that the CEOs of the 1980s and 1990s did when Steve Jobs left. “Apple has to remember what Apple is”. They are losing sight of what makes Apple great. Cook et al. are trying to make an extra buck in the short term rather than provide innovation and customer satisfaction. The momentum that Steve Jobs had put Apple in will soon fade and Apple will fall. Maps is not a bad product it is an unfinished product. Apple should have labeled it beta and kept the Google app for another year or so but greed is at the heart of Apple now. They want everything proprietary so that they can control their customers wallets. It used to be Apple = innovation but now Apple=greed. I miss Steve Jobs. I am switching back to Windows PC and Android mobile. Finally! Browett gone! What a jack hole. His plan was to gut Apple Retail and make it Dixons. We suffered through his cutting of hours and staff, leaving our customers with huge wait times, less interaction, poor service and violating Apples basic credo statements. From all Apple Retail employees… Thank you Mr. Cook for getting rid of someone who tried to fix something that wasn’t broken. tim cook era is similar to the john sculley era. he was no product guy either. and look where he took the company. This move is completely logical. Tim Cook is doing exactly what it says in the PR – improving collaboration between divisions. Apple will be a stronger, faster competitor going forward. All of these iOS, Android are crap and has reduced mankind to having to use these devices to do work. A phone should be a phone with high quality voice and video. That is it. And they can’t even do that. Crappy bluetooth devices, etc. So the mass public is in a cult of these stupid minds of Apple, Motorola, Samsung, etc. A phone should be excellent quality and so should the video. Another device should do data. The carriers are ripping to shreds people off. 100/month to make a call. Holy crap! The first three comments are nuts. Inferior products? Like what? Maybe the new Maps app was premature, but remember it was initiated by Jobs. Apples’s entire hierarchy has no credentials?!? Yah right. And Yar, nice conspiracy theory. I’m willing to give Tim Cook one more chance before i start to worry to much.. but ill say Microsoft is looking really good atm.. so he needs to watch his back.. furthermore.. hes can blame his staff this time.. but next one is on him,.. The first rule of ownership is to make your mistakes and admit them. That said, there are two companies with mapping data to support a product like Maps, and they each have strategically complementary skills — Google and Navteq. Nobody could create the equivalent of the product discontinued. Tim is quite qualified. Nobody in their right mind would hire Steve, and that is a good thing. Run wild! You have half a decade to do whatever you want. And you would also tell us that 2 + 2 = 137. Tim Cook is not capable of running Apple. Every move he has mad has been wrong and taken the mystique away from Apple. Dividend,buy back. inferior products. He has no vision for forward looking products. I have sold my 200 shares of Apple at 680. As soon as he announced the dividend I felt he was the wrong man.